Former Colorado Governor John Hickenlooper talks about his campaign for the presidency at the Wynkoop Brewing Co. on Thursday. On the eve of what could be one of the most important speeches of his political career, former Gov. John Hickenlooper stopped by the Wynkoop Brewing Co. talk to reporters about craft beer, politics and why he thinks he’s the best democrat to take on Donald Trump. 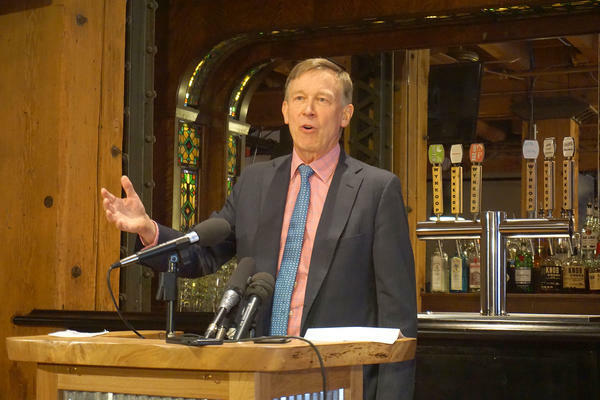 But before he started weighing in on policy positions on the filibuster and Israel’s influence in national politics, Hickenlooper looked around the room and reminisced about the time he was putting in 70 to 80-hour work weeks to start the brewery. Former Colorado Governor John Hickenlooper talks about why he's running for president during a visit to the Wynkoop Brewing Co. in downtown Denver. 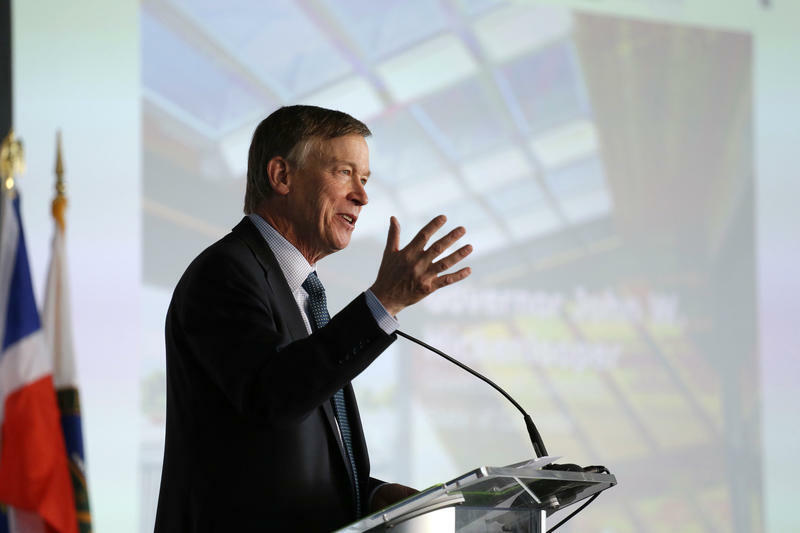 Hickenlooper said he thought it was important to pay tribute to his background of starting the downtown business as he prepares to campaign for the presidency. He portrayed himself as a team builder who put his home phone number on the wall of the restaurant so that any employees could call him to talk about issues, even in the evening. Now Hickenlooper is building a team to help him win the presidency. Hickenlooper acknowledged it will be a challenge for him to get attention in a crowded field of Democrats vying for the chance to take on President Trump in 2020. Hickenlooper was the only candidate wearing a name tag at a recent event in Iowa, Politico reported. Even the satirical news website The Onion is poking fun at him and his relatively low name recogntion. The website declared in a recent headline Hickenlooper announced his support for “nuking Australia” just to see if anyone was paying attention to him. But Hickenlooper thinks his record of working with Republicans and Democrats at the state Capitol on such things as health care policy will help him stand out in a field that could soon include former Vice President Joe Biden. After he rallies with a hometown crowd at Civic Center Park on Thursday evening, Hickenlooper will travel to Iowa for a series of campaign events. Former two-term Colorado Gov. John Hickenlooper announced his 2020 presidential bid in an online video on Monday, pitching himself as the centrist antidote to a dysfunctional, divided Washington. He joins an already crowded field of Democratic contenders including senators Elizabeth Warren, Kamala Harris, Amy Klobuchar, Cory Booker, Kirsten Gillibrand and Bernie Sanders. 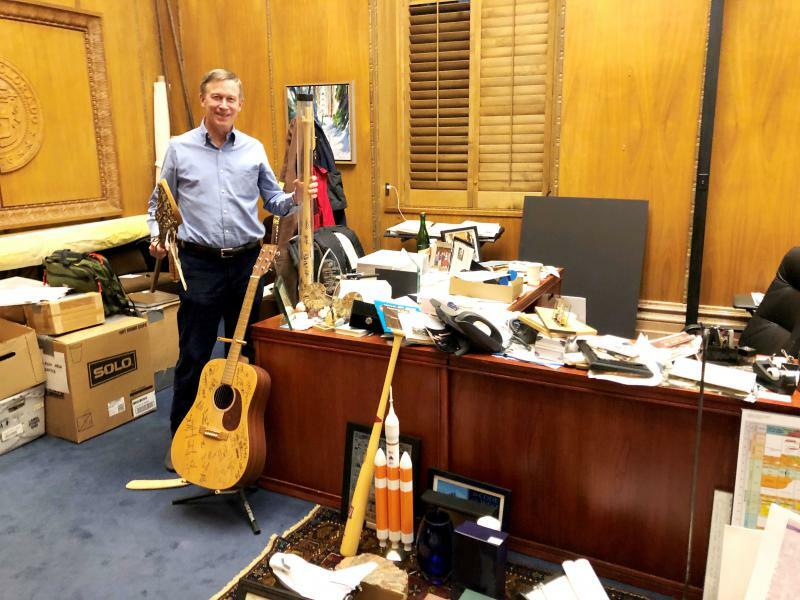 As Colorado's new lawmakers showed off their desks to their kids on Wednesday, Gov. John Hickenlooper was busy cleaning out his own. He was down to his final days as the head of state government. Signed baseball bats and other memorabilia were scattered on the floor of his office. His desk was littered with piles of old papers. As Gov. John Hickenlooper mulls a presidential run on his way out of office, his most memorable entry into the history books may not be the one he had in mind. Voters wrote that one for him when they legalized regulated recreational marijuana in 2012. An outspoken opponent of early efforts to legalize, Hickenlooper was suddenly called on by the voters to make it happen with Amendment 64. It wasn’t a role he relished once sales got under way. Published 2:07 p.m. | Updated 2:59 p.m. The Colorado Independent Ethics Commission will not dismiss an ethics complaint filed earlier this month against Democratic Gov. John Hickenlooper. On Tuesday, Colorado Gov. John Hickenlooper signed bills aimed at boosting consumer privacy protections and improving the state’s long-embattled driver’s license program for people living in the U.S. illegally.